An avid Nation reader since boyhood, Sterne, who died at 91, wrote an early account of the magazine. Richard Clark Sterne contributed a long essay to The Nation's 100th anniversary issue that covered the magazine's first 100 years. 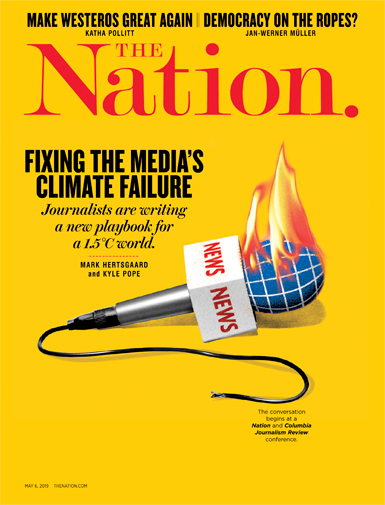 In the fall of 2014, I was helping to plan The Nation’s 150th anniversary issue, to be published the following summer. In the days before D.D. 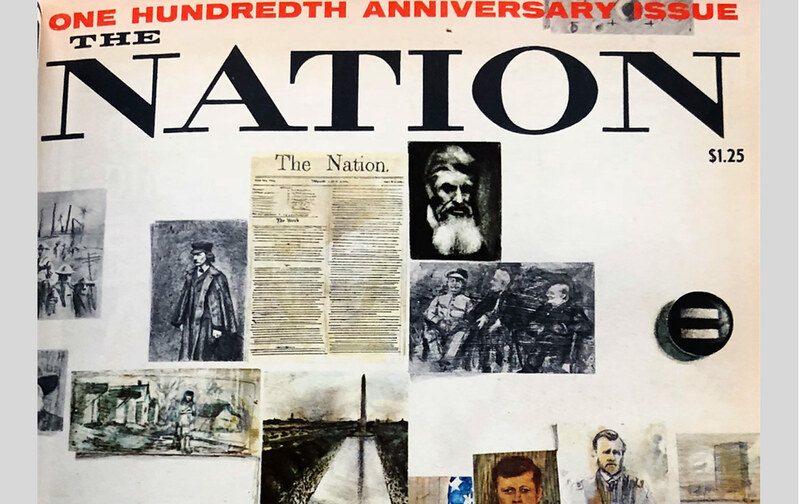 Guttenplan’s fast-paced account of our venerable publication, one of the few sources available about the magazine’s history was a long essay published 50 years earlier, in the 1965 centennial issue: “The Nation and Its Century,” by someone named Richard Clark Sterne. The article explored the magazine’s political and cultural coverage in every major era of its existence: as a supporter and then critic of Reconstruction, as a weekly digest for gentlemen and scholars in the Gilded Age, as a leading voice of liberalism in the 1920s and 1930s, and as a guardian against McCarthyite excess in the early days of the first Cold War. Sterne had mastered not only The Nation’s evolving positions on a diverse array of domestic and foreign-policy questions, literary controversies, and emerging artistic movements, but also the contexts in which those positions were developed and the impact they had on the public conversation. Curious about the author of the article, without which my understanding of the history of the magazine would have been woefully incomplete, I looked him up. Sterne, to my pleasant surprise, was alive and well. I booked a bus ticket to Boston, and found my way to his apartment in Brookline. For two hours or more, he, his wife Ruth (who died in 2017), and I sipped coffee, ate ice cream, and talked about the past—The Nation’s and his own. Sterne was born in 1927 to a Jewish family of teachers in Bay Ridge, Brooklyn. His parents subscribed to The Nation, and he remembered, as a young boy, reading in its pages about the Spanish Civil War. Later, at Columbia University, he studied English with Mark Van Doren, a famous poet and critic who had served as literary editor and film reviewer for The Nation, and with Joseph Wood Krutch, its longtime drama critic. In 1945, Sterne enlisted in the Navy. War in Europe was over but fighting still raged in the Pacific. Sterne would likely have been sent into battle if not for the dropping of the first atom bomb. At first he felt jubilant, grateful. That changed after he read John Hersey’s Hiroshima in The New Yorker. “How stupid my joy, my elation, had been, over this way of ending the war,” he told me. Discharged from the Navy, Sterne went to Columbia and then to graduate school at Harvard, where he decided to write his dissertation about the early days of the magazine he had grown up reading. His focus was “political, social, and literary criticism” in The Nation from its first issue in 1865 until 1881, when founding editor E.L. Godkin stepped down from his post. He spent hours in the Widener Library poring over back issues of the magazine—book reviews by Henry James, topical pieces by William Dean Howells, political reportage by Henry Adams, the bold, brooding editorials that were Godkin’s trademark. He also did research in The Nation’s offices, then on Vesey Street in lower Manhattan, and once took the legendary editor and publisher Freda Kirchwey to lunch at a nearby hotel. In the early 1950s, Sterne became an English professor at Boston’s Simmons College. Ten years later, James Storrow, then The Nation’s publisher, approached him to write a history of the magazine for its centennial issue—building on his dissertation but bringing it up to the present. Sterne told me that he used the money he was paid for the article to put a down-payment on his first house. (Ah, the mid-century economy.) Sometime after the anniversary issue was published, Ruth ran into the historian Howard Zinn at a local Boston post office. Zinn, then a professor at Boston University, praised Sterne’s history of the magazine that he had often contributed to. The couples became friendly, and sometimes saw each other at rallies to protest the Vietnam War. In addition to his Nation-related work, Sterne published a number of other respected works of literary and cultural criticism, including an article on the authoritarianism of the 1990s cop drama NYPD Blue, essays on the politics embedded in works by Nathaniel Hawthorne and E.M. Forster, and, in 1991, his only full-length book, Dark Mirror: The Sense of Injustice in Modern European and American Literature. All reflected his lifelong concern with the intermingling of politics and culture—a concern shared and reflected, in every era and every iteration, in the magazine whose history he chronicled. Richard Clark Sterne, 91, passed away earlier this month.